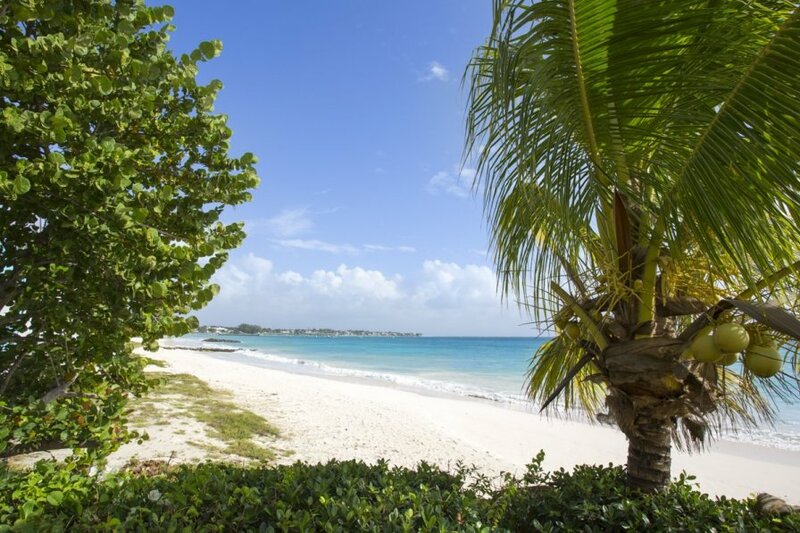 Sandy Hook 21 is a fantastic oceanfront apartment with all of the best that Barbados has to offer; sun, sea and sand. Sandy Hook 21 is a fantastic oceanfront apartment with all of the best that Barbados has to offer; sun, sea and sand. The apartment offers wonderful views that can be enjoyed from the comfort of your own home. Inside, the living area boasts a contemporary yet colourful design. Vibrant Caribbean wall art is emblazoned onto the walls and vivid house flowers beautify the room. A flat-screen television sits in the centre of the room, offering evening entertainment if you are visiting the island during one of those rare cooler nights. The living area opens out onto a balcony which overlooks the beach and horizon. The balcony makes for pleasant evenings taking in the beautiful surroundings and hearing the tranquil sounds of the sea. The area benefits from both a coffee table and a dining area. Here, you can indulge in peaceful coffee mornings or full-blown dinner parties. The open plan kitchen and dining area allows guests to socialise while preparing food & drinks. The kitchen has a lovely minimal design complemented by a maroon red wall. Sandy's bedrooms are bright and airy and benefit from splashes of tropical colour. All three bedrooms are air-conditioned and come equipped with en-suite bathrooms for ultimate comfort and privacy during your stay. Guests will be delighted to discover the local restaurants, stores and attractions. While staying at Sandy, you'll be nearby some of the best restaurants in the area, including beachfront venue Siam Bar & Restaurant and Calabash Cafe that offers casual dining in a marvellous setting. Sandy Hook 21 is a stunning 3-bedroom luxury apartment overlooking the beach of . The apartment has a communal roof terrace, where you can enjoy some grand sights and catch some rays. The west coast of Barbados is any beach lover's paradise and the closest one to Sandy Hook is Maxwell beach. This quiet and calm retreat is perfect for getting to know the marine life through a spot of snorkelling or sunbathing on the soft golden sands. Maxwell beach is home to plenty of turtles who make great entertainment to just sit and watch. The beach is calm with not many beach vendors and makes for beautiful walks during sunsets and sunrises. Maxwell is the go-to beach for holidaymakers staying in nearby resorts and apartment but isn't overflowing with tourists and actually benefits from a peaceful ambience. Barry's surf school is nearby this beach, so if you're looking for some sea thrills, you know where to go. From jet skiing to kayaking, you won't be short of ways to enjoy the sea. There is also the locally run Breezers Bar and Grill. This relaxed bar serves a range of beverages and meals including chicken, pasta, fish and steak. Delve into the island's history at George Washington House which lies around a 15-minute drive away from Sandy Hook. Before he became the first ever president of America, George Washington visited Barbados in 1751. This was the only country he visited that wasn't part of colonial America, and what is now known as George Washington House is where he stayed during his two-month long trip. Tours are available to help you step back in time while discovering this immaculately-kept building. The house's grounds are spectacular and provide plenty of space for quiet meditation. After all of that walking, you'll want to take a seat in the on-site cafe and enjoy a hot beverage.